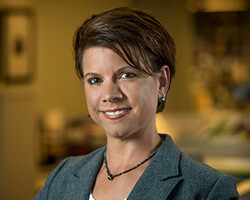 Trinity joined VergesRome Architects in 2007 as Assistant to Principal-in-Charge, Chip Verges. In addition her responsibilities as Executive Assistant, Trinity handles a wide variety of duties that help keep the VergesRome office running smoothly. She is also a Notary Public in Louisiana. She also enjoys volunteering with the AIA New Orleans as a Golf Committee Member, serving in 2010, 2015, 2016, 2017. Trinity also volunteers with the Boys and Girls Clubs of Southeast Louisiana and the Mystic Krewe of Barkus. Trinity’s passion is working with dogs, a passion seeded in childhood when her family always shared their space with furry four-legged friends. Active in animal rescue for more than 10 years, Trinity focused on obedience training dogs for local shelters and rescue groups so they would be more adoptable. Adopted at the age of 8 months, Trinity’s dog Pahdoo had been in two shelters, multiple homes and was given a handful of names. Helping Pahdoo feel loved and comfortable in the world is Trinity’s most heartfelt accomplishment.